Dogs are such wonderfully complex creatures. Like humans, we know that dogs can experience anxiety, fear, and joy. What dogs are not, however, are small people with exactly the same gamut of emotions, intentions and deliberations as their owners. Many of us inappropriately attribute complicated human emotions to our canine companions (called anthropomorphism), and this can result in a misinterpretation of Fido’s signals. Below are some of the canine misunderstandings I regularly hear from clients. By understanding the true motivation for Fido’s behaviors, it may help us address the issue more effectively and safely! 1.) My dog growls and bares his teeth, but he would never bite. 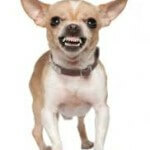 Here’s the thing about a growl: it is a very strong warning signal from Fido that something is making him feel uneasy. 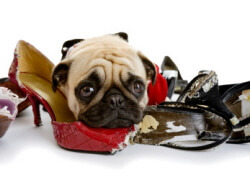 If that warning signal is ignored, or misunderstood, then Fido’s next reaction may be to snap or bite. It’s really that simple. A growl can be a precursor to a bite. Many dogs who growl may never snap, and many dogs who snap may never bite, but we can never say this definitively. Growling should never be ignored, dismissed or downplayed. 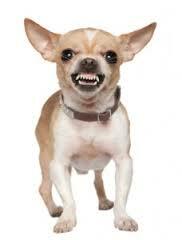 If Fido growls at me while in the exam room, most likely I’m going to recommend we muzzle him; I don’t want that growl to turn into a bite, and result in a serious injury to me or my staff. It’s nothing personal against you or Fido, but personal safety is one of our essential priorities! 2.) My dog is afraid and anxious; he must have been abused before we adopted him. We all see horrendous stories on the news about dogs who have been abused and tortured by sick individuals. Fortunately, despite the frequency with which the media reports them, true cases of abuse like these are rare. The vast, vast, vast majority of fearful and anxious dogs have NOT been abused. Like humans, dogs can be born with anxiety disorders (generalized anxiety, confinement anxiety, and separation anxiety, just to name a few); these cases really result from nature, not nurture. Many dogs and cats can simply have a genetic predisposition to anxiety and fearful behaviors; this is not a result of a previously abusive situation, but most likely an imbalance of brain neurotransmitters. Understanding that anxiety is a biochemical disease, not a response to an abusive situation, may help owners better manage Fido’s symptoms. 3.) My dog urinates in the house and chews up the sofa when I’m gone; he’s doing it out of spite. We know fair amount about canine psychology and behavior, and one thing we know for certain is that neither dogs nor cats make decisions based in anger, spite or retribution toward owners. Our domestic pets are wonderfully complicated, but not complicated enough to seek revenge on owners. If you leave for work, and return to find that Fido has urinated, defecated and gnawed up your door frame, most likely he has separation anxiety, not spitefulness. If Fluffy is suddenly urinating on the bedroom carpet instead of in the litter pan, she’s telling you that you need to clean the litter pan more frequently, or that some change in the house is causing her stress. 4.) My dog licks his feet all the time; he must be anxious or bored. Many studies have been done on dogs and cats previously diagnosed with “psychogenic alopecia“, or excessive licking of the fur and skin due to perceived anxiety. In virtually every study, dogs who lick their feet and skin excessively were discovered to have an underlying dermatologic disorder. The most common disease that causes dogs to lick their feet excessively is allergic dermatitis, which can result from environmental allergies, flea allergies or, less commonly, food allergies. Pets rarely, if ever, over-groom themselves for any reason other than an underlying skin disease; if the disease is properly diagnosed, it can be properly treated! 5.) My dog is really picky; he will only eat if I put parmesan cheese, hot dogs, sirloin and gravy on his food. I hear about picky eaters all the time from clients, particularly clients with small and toy breed dogs. 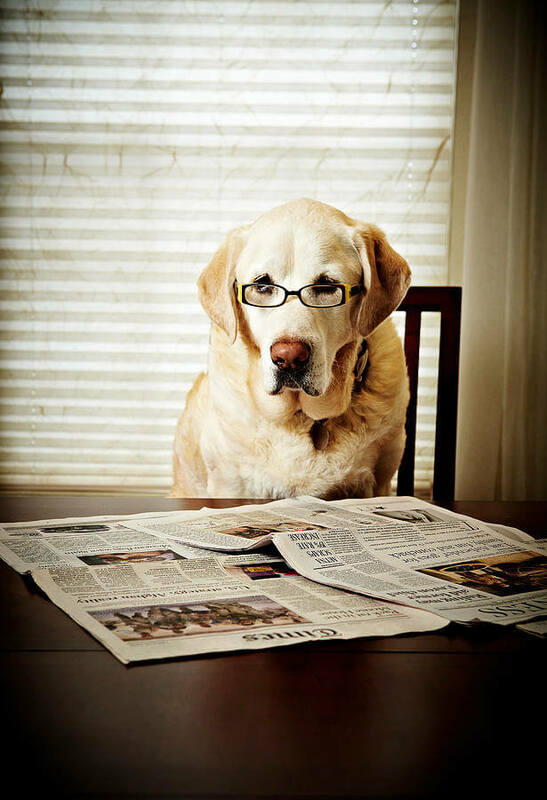 (Although every now and then, a Labrador won’t read the Lab handbook, and will also demand “extras” on top of meals before eating.) 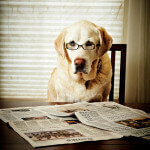 This is one situation where Fido is much smarter then you think. In cases like this, Fido has, in fact, trained you! Fido knows that if he doesn’t eat his dog food, a few minutes later, his caring owner will add lots of incentives to the food so he will eat more enthusiastically. Fido is holding out for something better, because he knows if he doesn’t eat, something more enticing will be offered to him. It’s that simple. While I’m not in favor of starving cats into eating certain types of food (this can be dangerous, and result in a serious condition known as hepatic lipidosis), we can effectively convince Fido to eat more healthily in pretty short order. 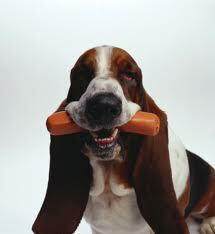 Feed Fido with an appropriate amount of dog food, then give him 5-10 minutes to eat the food. Whatever he doesn’t eat, take it away and then offer him nothing until his next meal. 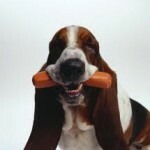 Within a day or two, Fido will be hungry and more motivated to eat regularly. Problem solved! 6.) My dog acts guilty after he steals meatloaf from the kitchen counter; he knows when he’s done something wrong. Similar to item number 3 above, we know definitively that dogs cannot and do not have the emotional capability for guilt. 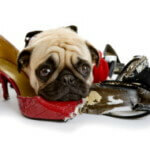 What we perceive as guilt when Fido has behaved inappropriately is, instead, fear! Fido is afraid of being reprimanded; he has learned from previous experience that, when he does something wrong, his owner may yell or, even worse, hit him. This may be hard to believe, since Fido seems to act sheepish and chagrined after he’s obliterated the contents of the trash can. Trust me- Fido is behaving that way because he’s anticipating retribution from his owner, not because he knows he did something wrong.